I was about to enter my office when I saw a street light switched on. I approached the guard who was sitting right next to the pole and asked “Isn’t that light supposed to be turned off. It’s 8am in the morning.” I got the classic reply “It’s not my job!! !” Wooohhh really are you kidding me. We are too busy to save some electricity, too busy to add some value and too busy to play your part for this beautiful world. 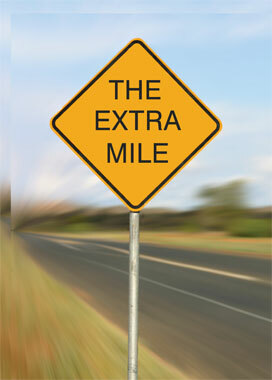 I believe that in personal and in professional Life going an extra mile is always a plus point. It’s not about “It’s not my job” it’s about will it benefit my company, society or people around me. There are certain things that I do which are beyond my job scope but I do them because I know my company will benefit from it. For example if it’s raining in Karachi I dive into my pc to run a scroll on our website that deliveries might be affected. Not because it’s my job just to provide ease to our customers.